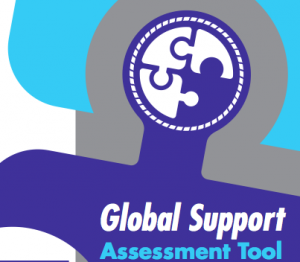 The Global Support Assessment Tool (GSAT) is the new Quality Standard of the World Organization of the Scout Movement (WOSM). It is used to assess compliance of a National Scout Organization (NSO) with international best practices in Good Governance and Quality Scouting. This Standard was developed in collaboration with SGS (Société Générale de Surveillance), the world’s leading inspection, verification, testing and certification company with a well-proven track record in NGO audits. What are the benefits for the national leadership of a NSO? Assessing performance of the NSO against international good practices. Identifying NSO’s challenges and priorities and subsequently use WOSM’s Global Support network to get support if required. Highlighting the good practices and successes of the NSO, and serve as an example for others. To get certification which can be used to show the quality to future members and attract future donors for the NSO. Getting an overview of strengths and challenges in NSOs across the regions and the world. Understanding how to tailor Global Support to NSOs in different Regions and on a Global level, based on actual facts and figures. Matching the good practices and successes of some NSOs with challenges and priorities of others. Showing a proven quality statement to external target groups and attracting future donors. In the last year, three NSOs were assessed using this new tool: Finland, Croatia and Ireland. As a follow-up of the assessment, a number of Global support actions for improvement were agreed between the NSOs and the Organizational Development Core Group, and they are currently underway. According to the Regional Scout Plan of the European Scout Region, seven more NSOs should go through the assessment process in 2015. Assessment for Austria was done during the weekend of 27 February – 1 March. Six others which will be assessed before the end of this year. All these NSOs are going to be assessed by use of so called “third-party assessment”, a process implemented by an independent auditor from SGS together with a facilitator appointed by the Organizational Development Core Group and the European Scout Committee. The plan of WOSM is by the end of this year to also start the process of using GSAT by assessment of NSOs carried out by WOSM auditors, as well as “a self-assessment” process. Guidelines and procedures for these two types of assessments are in the final phase of preparation, and once they are ready, we will be happy to share them with all NSOs in Europe.